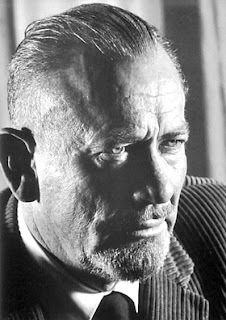 John Ernst Steinbeck, Jr. é um escritor americano, que ficaria conhecido como John Steinbeck. Nasceu em Salinas a 27 de Fevereiro de 1902 e veio a falecer em Nova Iorque a 20 de Dezembro de 1968, vítima de um ataque cardíaco. As suas obras principais são A Leste do Paraíso (East of Eden) de 1952 e As Vinhas da Ira (The Grapes of Wrath) de 1939. Foi membro da Ordem DeMolay e recebeu o Nobel de Literatura de 1962. Em 2012, quando a Fundação Nobel tornou públicos os arquivos do antigo processo, passados cinquenta anos, conforme estipulado no regulamento, estes revelam que John Steinbeck recebeu o prémio por exclusão de outros candidatos, mais do que por mérito próprio. Os outros quatro autores na selecção final de 1962 eram a dinamarquesa Karen Blixen, o francês Jean Anouilh e o britânico Lawrence Durrell e Robert Graves. Imediatamente decidiu que Durell seria afastado. Blixen morreu um mês antes da eleição do vencedor e Anouilh foi igualmente descartado porque sua vitória seria muito próxima da de Saint - John Perse, o último vencedor francês. Graves, entretanto, era conhecido como poeta embora também tivesse publicado alguns romans. Mas por Anders Osterling, então secretário permanente da Academia Sueca, ninguém na poesia anglófona igualou o talento de Ezra Pound. E, assim, foi decidido que ele iria ser privado da recompensa por causa de suas posições políticas. 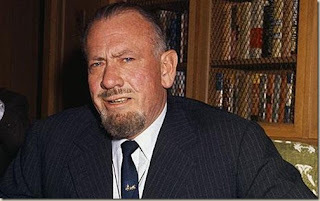 John Steinbeck acabaria assim por ser agraciado com o prémio. O anúncio da sua atribuição foi mal recebido tanto pela imprensa sueca como pela americana, para quem ele era um autor do passado. Com efeito, o escritor americano não tinha publicado nada de notável havia já muito tempo e seus grandes romances (As Vinhas da Ira, Ratos e Homens e a A Leste do Paraíso) pertenciam a esse período. 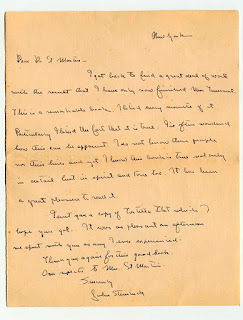 Quando um repórter que lhe perguntou se ele merecia a distinção, Steinbeck, ele mesmo surpreendido pela sua vitória, respondeu: "Francamente, não." Começou a ler muito jovem, por influência dos seus pais. Autores tão diversos como Dostoiévski, Milton, Flaubert e George Eliot fizeram parte da sua lista de leituras. Em 1919, terminou o curso secundário no Salinas High School. No ano seguinte, ingressou na Universidade de Stanford, onde exerceu várias profissões para custear os estudos. Em 1925, empregou-se no jornal American de Nova York, e percorreu a cidade em busca de um editor para os seus livros (ainda não escritos!). Estreou-se na literatura com A Taça de Ouro (Cup of Gold) (1929), biografia romanceada do bucaneiro Henry Morgan, já marcada por seu característico estilo alegórico. Publicou em seguida Pastagens do Céu (1932) e A Um Deus Desconhecido (1933). Com estes primeiros livros não sustentar-se só como escritor. Em 1935 firmou-se como autor de prestígio com O Milagre de S. Francisco (Tortilla Flat), que recebeu a medalha de ouro do Commonwealth Club de São Francisco como melhor livro californiano do ano. 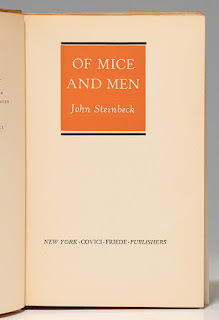 Os três romances mais importantes de Steinbeck foram escritos entre 1936 e 1938: Batalha Incerta (In Dubious Battle) (1936), descreve uma greve de trabalhadores agrícolas na Califórnia; Ratos e Homens (Mice and Men) (1937), que seria transportado para o cinema e para o teatro, analisa as complexas relações entre dois trabalhadores migrantes; As Vinhas da Ira (The Grapes of Wrath) (1939), considerado a sua obra-prima, conta a exploração a que são submetidos os trabalhadores itinerantes e sazonais, através da história da família Joad, que migra para a Califórnia, atraída pela ilusória fartura da região. Essa trágica odisseia recebeu o Prémio Pulitzer de Ficção e foi levada à tela por John Ford em 1940. 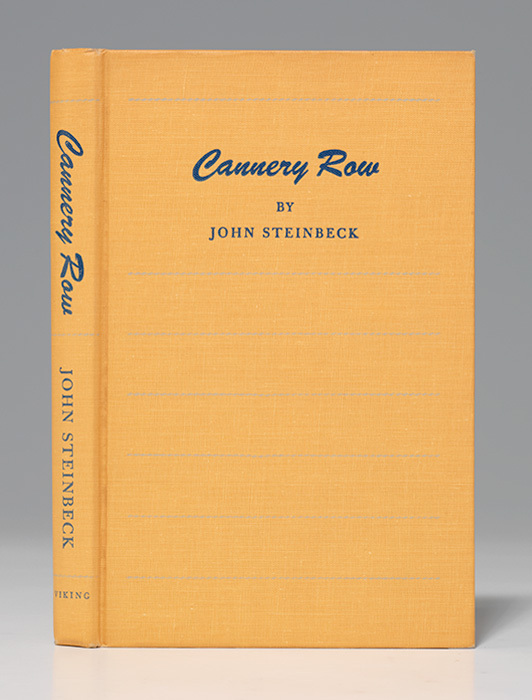 Steinbeck teve 17 de suas obras adaptadas para filme em Hollywood. Alcançou também grande sucesso como escritor para filmes, tendo sido indicado em 1944 ao Óscar de Melhor História* pelo filme Um Barco e Nove Destinos (Lifeboat) de Alfred Hitchcock. 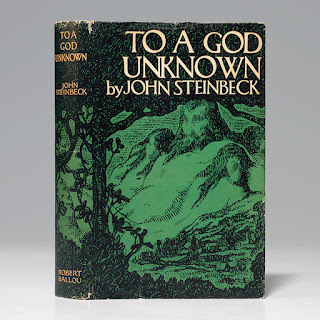 STEINBECK, John – To a God Unknown. New York: Robert O. Ballou, (1933). Octavo, original green cloth, pictorial endpapers, original dust jacket. 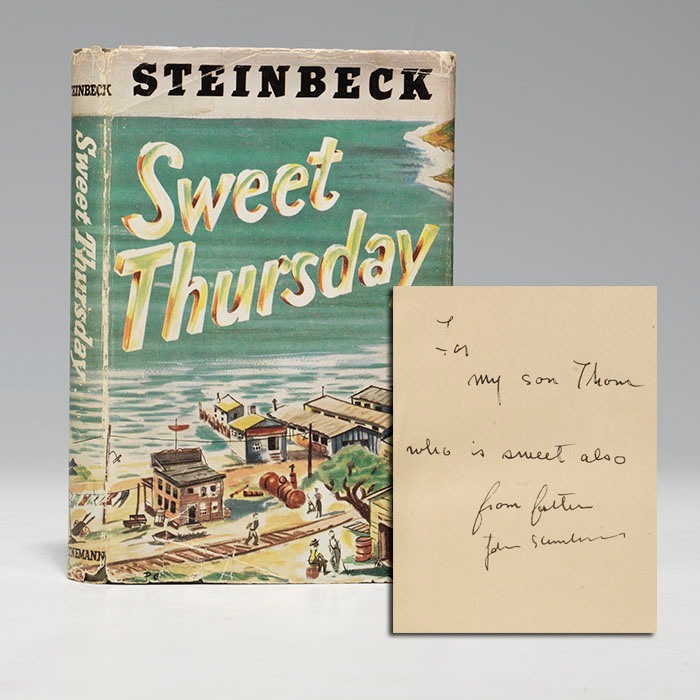 First edition, exceptionally rare first issue of Steinbeck’s first California novel, one of only 598 first issue copies bound and sold, his third published novel—“Steinbeck invested his essential self in it”—a lovely copy in the rarely found original dust jacket. 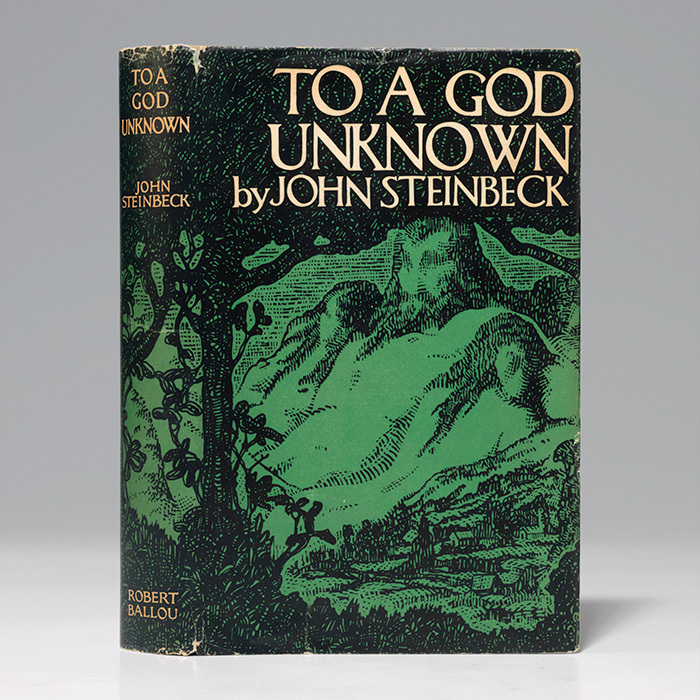 Steinbeck called To a God Unknown, his first California novel, a work that "leaves realism farther and farther behind." Drawing on an unfinished play, The Green Lady, by his friend Webster 'Toby' Street, Steinbeck here explored ways to redefine "reality to include the seen and unseen, physical and metaphysical, quotidian and psychological elements… Steinbeck's goal, writes his biographer, Jackson Benson, was to make people 'see the whole as it really is… Steinbeck invested his essential self in it." The novel seems especially propelled by a comment he made to George Albee in 1932: "You haven't any place you know until you make one. And if you make one, it will be a new one." 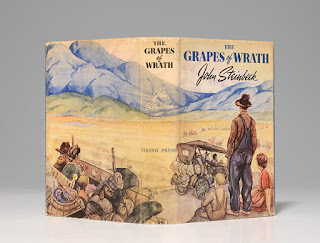 When Steinbeck received a small shipment of the novels from his publisher on September 12, 1933, with its dust jacket, endpapers and title page vignette designed by Steinbeck's friend Mahlon Blain, he wrote Ballou: "'The books came this morning and I like them immensely. Thank you for doing such a fine job… Steinbeck labored longer on To a God Unknown than on any other book, including his two famous epics, The Grapes of Wrath  and East of Eden … Because he may have learned more about crafting long fiction from it than from anything else he worked on during that period, this book laid the foundation for later artistic greatness" (DeMott, Introduction, To a God Unknown). First edition, first issue, in green cloth, with Robert O. Ballou imprint on title page, top edge stained black; dust jacket with "$2.00 price" on front flap. Goldstone & Payne A3. Bruccoli & Clark, 353. Salinas Public Library Collection, 20. Book with only slightest toning to spine, bright dust jacket with only light rubbing to edges. A nearly fine copy. 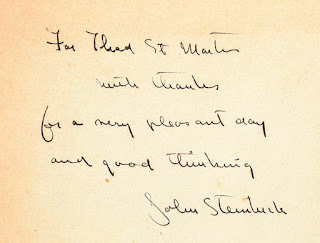 "WITH THANKS FOR A VERY PLEASANT DAY AND GOOD THINKING, JOHN STEINBECK": FIRST EDITION OF TORTILLA FLAT, INSCRIBED BY STEINBECK TO HIS CLOSE FRIEND AND FELLOW AUTHOR DR. THADDEUS ST. MARTIN, WITH AN AUTOGRAPH LETTER SIGNED BY STEINBECK PRESENTING THIS COPY OF TORTILLA FLAT AND PRAISING ST. MARTIN'S NOVEL, "THIS IS A REMARKABLE BOOK"
STEINBECK, John – Tortilla Flat. New York: Viking, (1935). Octavo, original beige cloth, original dust jacket. First edition, clothbound issue, of Steinbeck's first popular success, inscribed by the author on the front free endpaper to a close friend and fellow author, "For Thad St. Martin with thanks for a very pleasant day and good thinking, John Steinbeck." 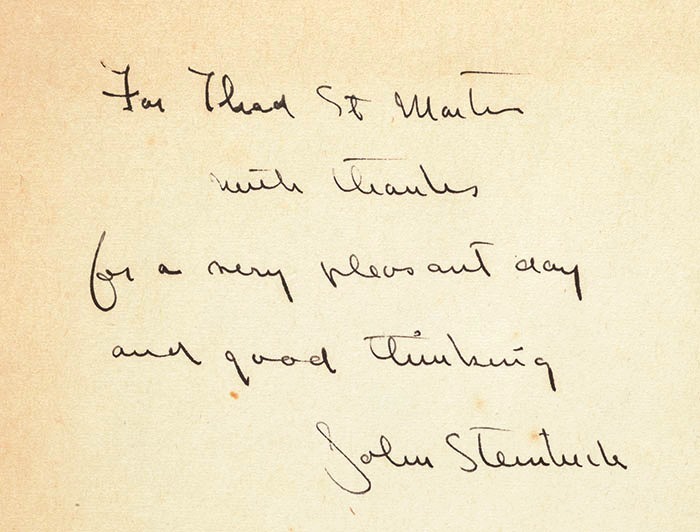 Accompanied by an autograph letter signed by Steinbeck to Dr. St. Martin, praising the latter's novel Mme. Toussaint's Wedding Day—"This is a remarkable book… I do not know these people nor their lives and yet I know this book is true not only in detail but in spirit and tone too"—and noting "I sent you a copy of Tortilla Flat which I hope you got." 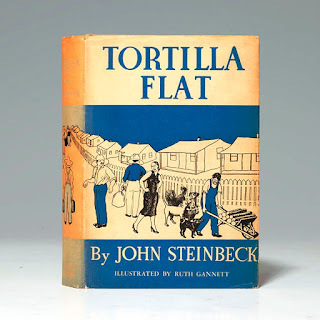 Tortilla Flat won John Steinbeck his first experience of literary fame. Consisting of revised versions of earlier stories, now united in a structure that mirrors Malory's Morte D'Arthur, Tortilla Flat became "the book that raised [Steinbeck] out of obscurity. Written under the shadow of his mother's illness and his father's decay, it is, strangely enough, the most comic of his novels. 'Its tone, I guess,' he wrote a friend, 'is direct rebellion against all the sorrow of our house'… Tortilla Flat is a tour de force. In retrospect it is hard to think of any other American writer getting away with it… It is the kind of book, deceptively simple, that is invariably underestimated and leads one to think, I could write a book like this one. There isn't that much to it. 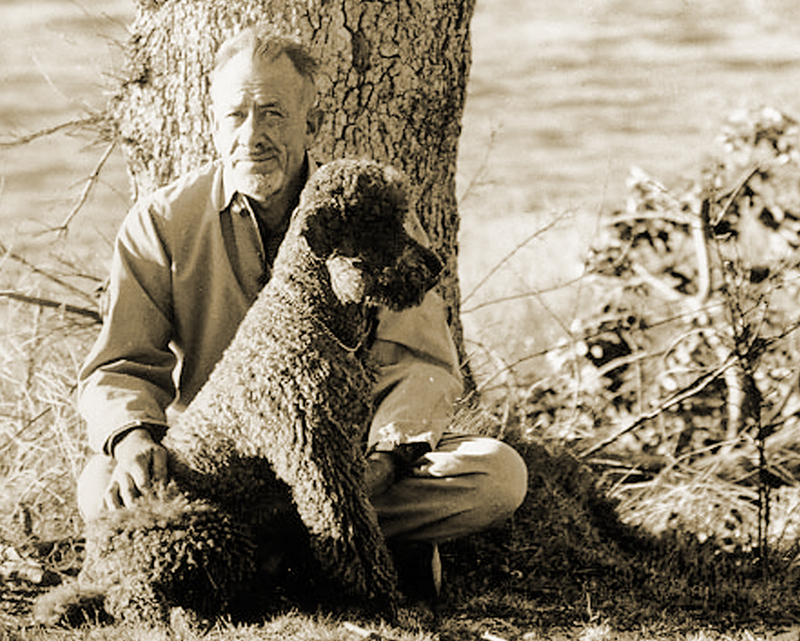 It took Steinbeck 15 years of practice to make a book look that easy, and behind that relaxed manner is a world of experience with and sympathy for his subject… Only someone who truly loved and knew these people could have so successfully exaggerated and stylized their lives" (Benson, 276, 279). The novel became a short-lived Broadway play in 1938, and Victor Fleming directed the 1942 film version, which starred Spencer Tracy. 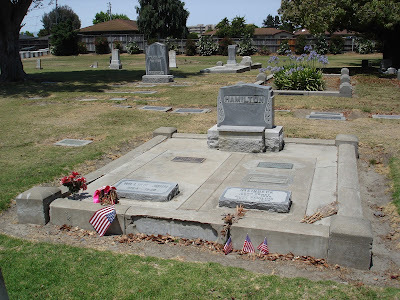 Recipient Dr. Thaddeus St. Martin and his wife Gladys were good friends with Steinbeck and his second wife Gwyndolyn Conger. They lived in Louisiana. Dr. St. Martin was a world-renowned radiologist who studied the growth rates in unborn children in the 1920s and 30s, writing several books on the subject. 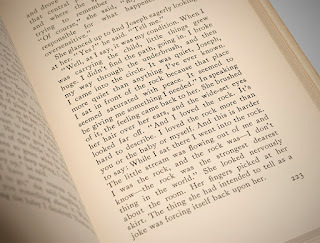 In 1936, he published the novel Mme. Toussaint's Wedding Day, to which Steinbeck refers in the accompanying letter. Steinbeck wrote about St. Martin and his ability to make a mean martini in Travels with Charley: "There lives my old friend Doctor St. Martin, a gentle, learned man, a Cajun who has lifted babies and cured colic among the shell-heap Cajuns for miles around. I guess he knows more about Cajuns than anyone living, but I remembered with longing other gifts of Doctor St. Martin. He makes the best and most subtle martini in the world by a process approximating magic." 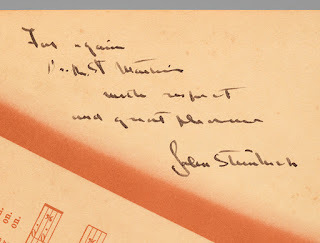 The accompanying autograph letter reads: "New York/ Dear Dr. St. Martin – I got back to find a great deal of work with the result that I have only now finished Mme. Toussant. This is a remarkable book. I liked every minute of it. Particularly liked the fact that it is true. I've often wondered how this can be apparent. I do not know these people nor their lives and yet I know this book is true not only in detail but in spirit and tone too. It has been a great pleasure to read it. I sent you a copy of Tortilla Flat which I hope you got. It was as pleasant afternoon we spent with you as any I ever experienced. Thank you again for this good book. Our respects to Mrs. St. Martin. Sincerely, John Steinbeck." With numerous line-cuts by Ruth Chrisman Gannett. This issue (of 4000 copies) bound in cloth, as opposed to the issue in wrappers (500 copies); no priority established. Goldstone & Payne A4b. Bruccoli & Clark I:353. Salinas Public Library, 21. Valentine 29. Book about-fine with mildly toned spine; dust jacket spine sunned, with one small bit of tape reinforcement to verso. A superb inscribed presentation/association copy. STEINBECK, John – Of Mice and Men. New York: Covici Friede, (1937). 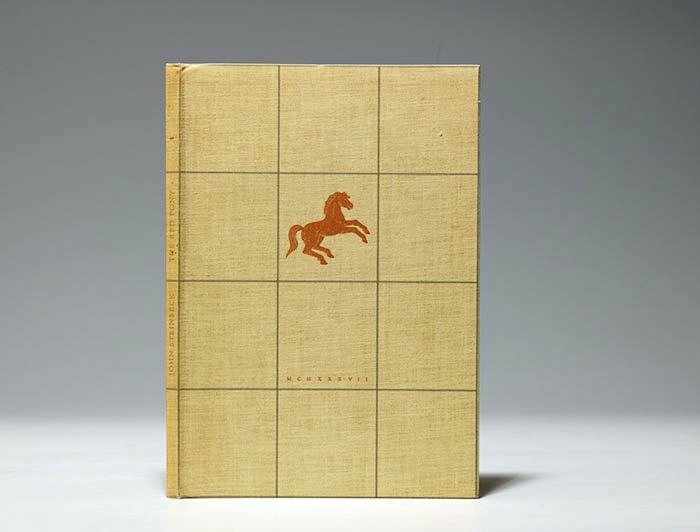 Small octavo, original beige cloth, original dust jacket. 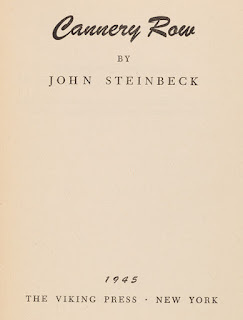 First edition, first issue, of Steinbeck's "beautifully written [and] marvelous picture of the tragedy of loneliness" (Eleanor Roosevelt), in scarce original dust jacket. 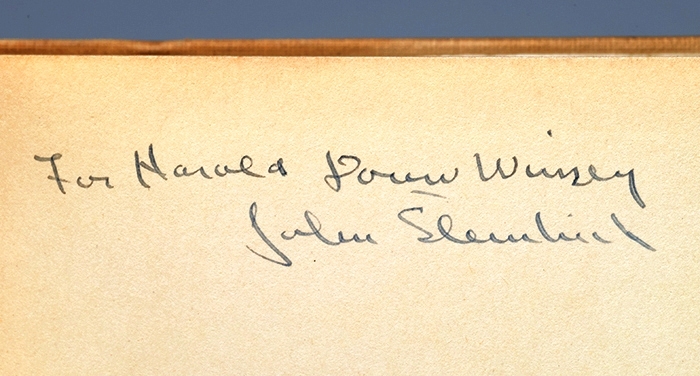 Presentation copy inscribed by Steinbeck on the front free endpaper: "For Harold —- Winsey, John Steinbeck." 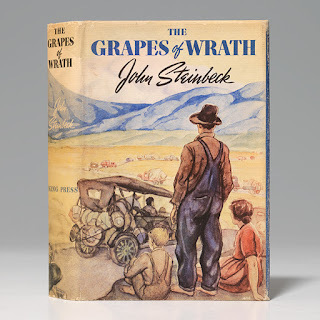 "As a young man, Steinbeck worked on ranches in the small towns around Salinas, absorbing local color later applied to the Soledad, California setting of this novel, originally entitled Something That Happened" (Salinas Public Library, 24). 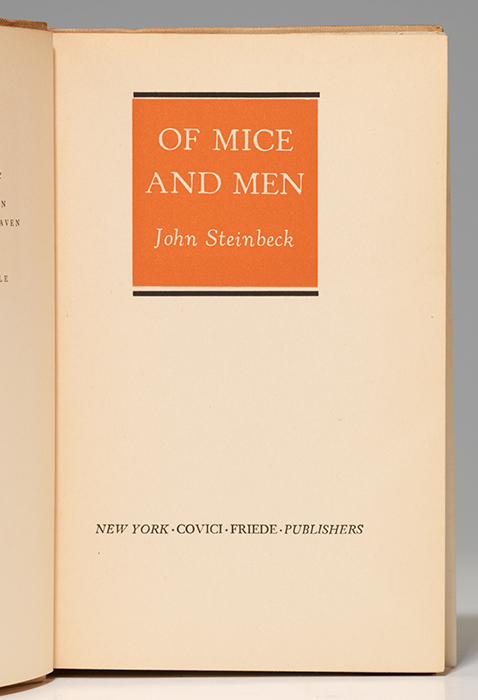 The author began Of Mice and Men as a children's story. "Although the finished novelette does not seem appropriate for children—that intention was obviously abandoned—the simplicity of its style and the clarity and precision of its imagery may well have been prompted by this original purpose " (Benson, 326). The result is "a sophisticated and artful rendering of the basic conflict between two worlds: between an idealized landscape and the real world with its pain and anguish" (Literary History of the American West, 433). 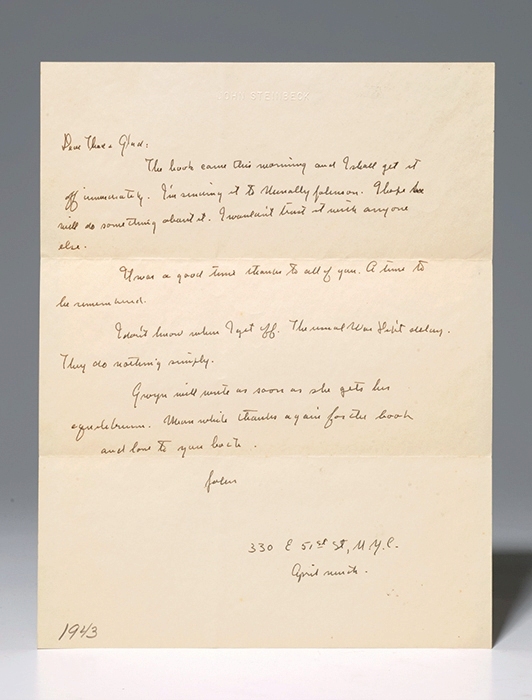 First issue, with the words "and only moved because the heavy hands were pendula" printed as lines 20 and 21 on page 9, and bullet between the eights on page 88. Goldstone & Payne A7a. Bruccoli & Clark I:354. Book near-fine, with a bit of toning to spine; unrestored dust jacket near-fine, with spine less toned than often found, and a bit of shallow wear to corners. A desirable inscribed copy of this classic. 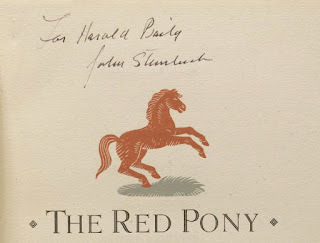 STEINBECK, John – The Red Pony. New York: Covici-Friede, 1937. Octavo, original pictorial beige cloth, uncut. Housed in a custom clamshell box. 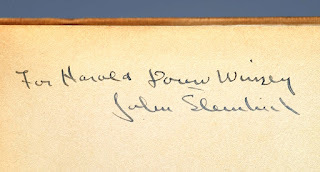 Signed limited first edition, number 567 of 699 copies signed by Steinbeck on the limitation page—this copy additionally signed and inscribed by Steinbeck on the title page: "For Harald Baily from Steinbeck." 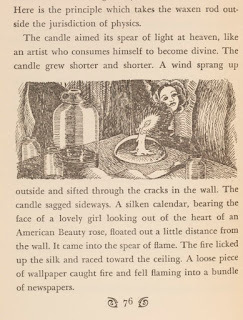 The three interconnected stories in this volume (a fourth was added in the 1945 edition) won praise on publication as "pure gold… all three of these stories have more depth, intensity and variety than one could possibly anticipate" (New York Times Book Review). To biographer Jackson Benson, they "act as a moral fulcrum… These stories, with their child observer, examine the nature of life and of death and the relationship of the individual to the whole" (True Adventures, 288). Issued simultaneously with an unrecorded lettered signed limited edition of somewhere between 26 and 52 copies. 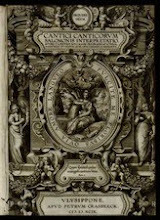 Without scarce glassine, slipcase. Goldstone & Payne A9a. Salinas Public Library, 27. Valentine 78. 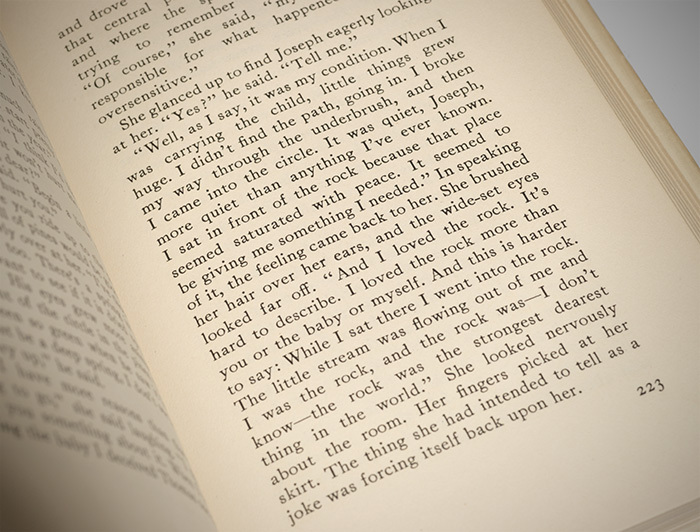 STEINBECK, John – The Grapes of Wrath. New York: Viking, (1939). Octavo, original pictorial beige cloth, illustrated endpapers, original dust jacket. 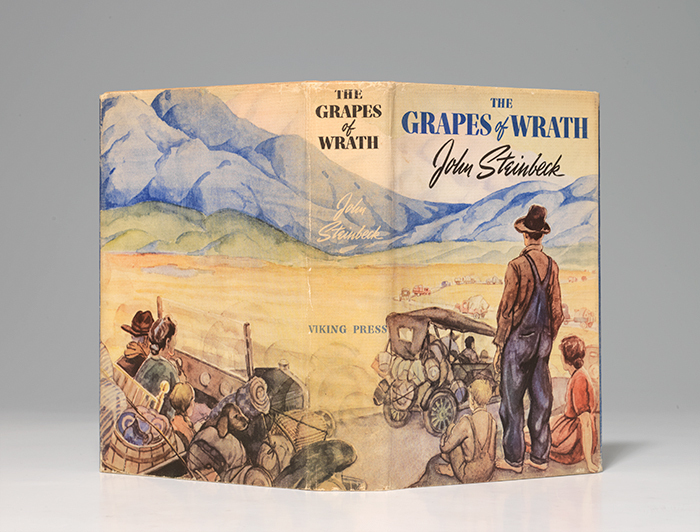 First edition of Steinbeck's most important novel, his searing masterpiece of moral outrage and "intense humanity," winner of the 1940 Pulitzer Prize, inscribed by the author on the front free endpaper to a close friend, "For again Dr. St. Martin with respect and great pleasure, John Steinbeck." Accompanied by an autograph letter signed by Steinbeck to Dr. St. Martin and his wife, penned on Steinbeck's embossed letterhead stationery. 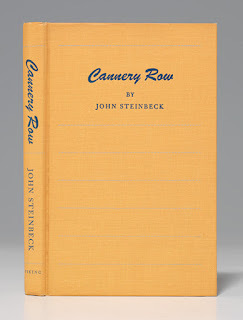 "It is a long novel, the longest that Steinbeck has written, and yet it reads as if it had been composed in a flash, ripped off the typewriter and delivered to the public as an ultimatum… Steinbeck has written a novel from the depths of his heart with a sincerity seldom equaled" (Peter Monro Jack). "The Grapes of Wrath is the kind of art that's poured out of a crucible in which are mingled pity and indignation… Its power and importance do not lie in its political insight but in its intense humanity… [It] is the American novel of the season, probably the year, possibly the decade" (Clifton Fadiman). 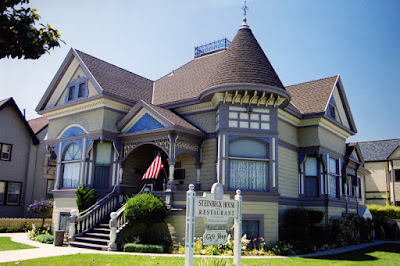 Recipients Dr. Thaddeus St. Martin and his wife Gladys were good friends with Steinbeck and his second wife Gwyndolyn Conger. They lived in Louisiana. Dr. St. Martin was a world-renowned radiologist who studied the growth rates in unborn children in the 1920s and 30s, writing several books on the subject. In 1936, he published the novel Mme. Toussaint's Wedding Day, to which Steinbeck refers in the accompanying letter. Steinbeck wrote about St. Martin and his ability to make a mean martini in Travels with Charley: "There lives my old friend Doctor St. Martin, a gentle, learned man, a Cajun who has lifted babies and cured colic among the shell-heap Cajuns for miles around. I guess he knows more about Cajuns than anyone living, but I remembered with longing other gifts of Doctor St. Martin. He makes the best and most subtle martini in the world by a process approximating magic." The accompanying autograph letter reads: "Dear Thad & Glad[ys]: The book came this morning and I shall get it off immediately. I'm sending it to Nunnally Johnson. I hope he will do something about it. I wouldn't trust it with anyone else. It was a good time thanks to all of you. A time to be remembered. I don't know when I get off. The usual War Dep't delay. They do nothing simply. Gwyn will write as soon as she gets her equilibrium. Meanwhile thanks again for the book and love to you both. John. 330 E. 51st St., N.Y.C. April ninth." Somebody has penciled in the lower left corner "1943." Nunnally Johnson was an American filmmaker who worked as a writer and producer on the film versions of Grapes of Wrath (1940) and The Moon Is Down (1943). 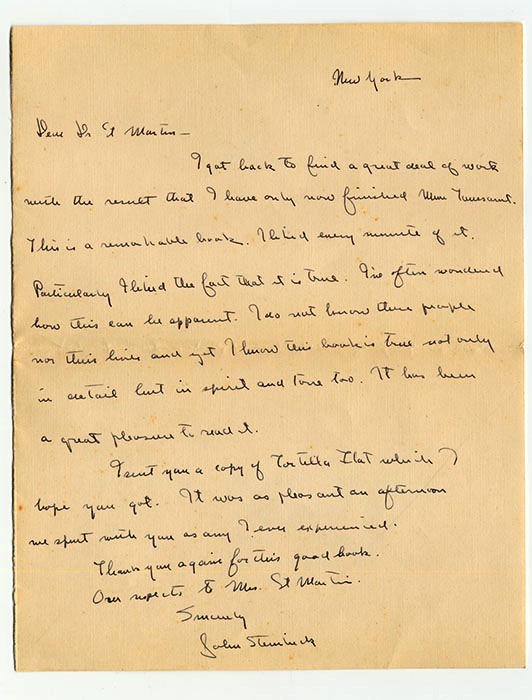 Steinbeck seems to be saying that he would forward St. Martin's novel Mme. Toussaint's Wedding Day to Johnson for a possible movie adaptation. First issue, with "First Published in April 1939" on copyright page and first edition notice on front flap of dust jacket. Goldstone & Payne A12a. Salinas Public Library, 29. Bruccoli & Clark I:354. 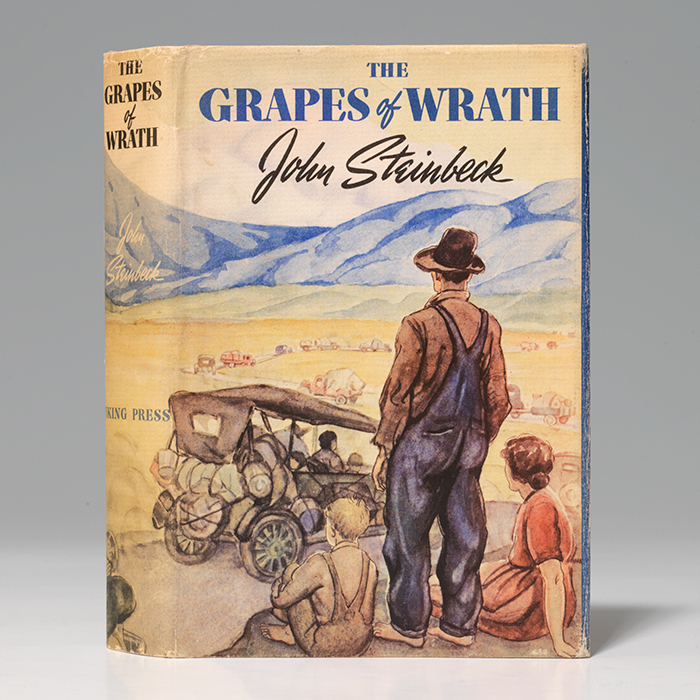 From a private collection of books and letters, all inscribed by Steinbeck to Dr. Martin. Book about-fine, bright dust jacket with restoration to edges. 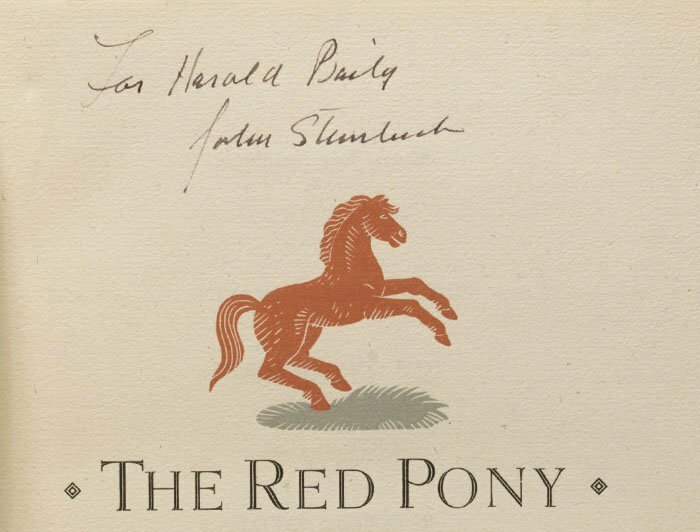 A lovely copy with a fantastic association and letter on Steinbeck's embossed letterhead. 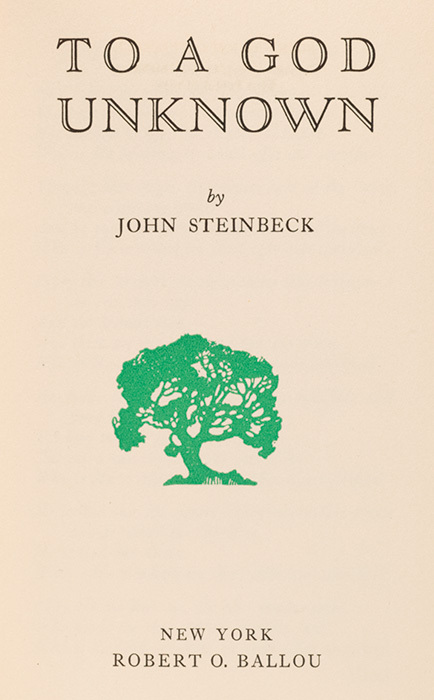 STEINBECK, John – The Long Valley. New York: Viking, 1938. 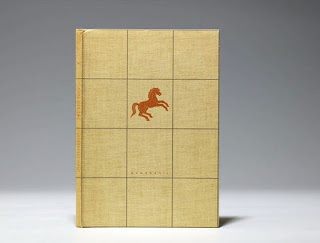 Octavo, original half beige cloth, original dust jacket. 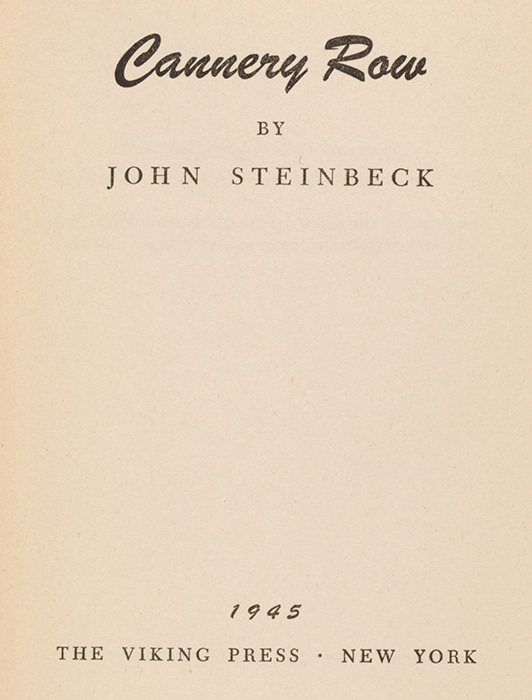 First edition of Steinbeck’s “second and arguably best collection,” an anthology of 13 stories—ten appearing here in book form for the first time—along with the first publication of “Flight,” the first public issue of “St. 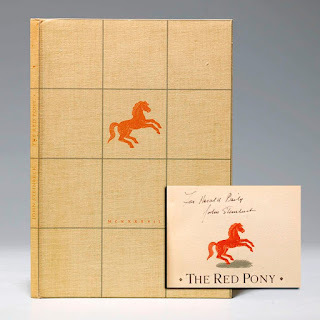 Katy the Virgin” and the first collected printing of Steinbeck’s beloved novella, The Red Pony. 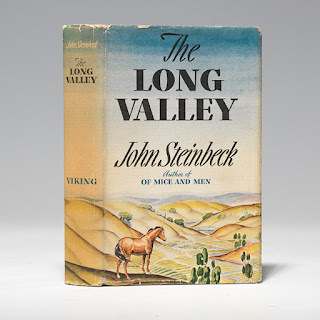 "The value of The Long Valley… Steinbeck's second and arguably best collection of short stories… cannot be overestimated" (Railsback & Meyer, 214-15). Upon publication, the 13 stories in The Long Valley earned Steinbeck high praise as "one of the most richly promising novelists" of his generation (New York Herald Tribune). 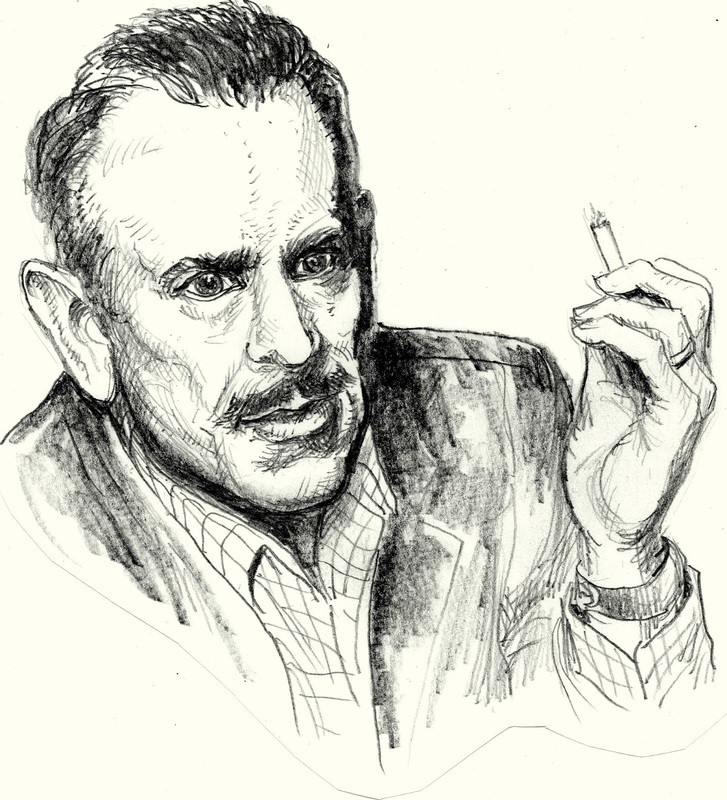 The Long Valley contains "some of the best writing Steinbeck has done" (San Francisco Chronicle), with "subtleties of feeling that are the stock in trade of writers like Chekhov, D.H. Lawrence and Katherine Mansfield… The best thing in the book is the three-part story The Red Pony… a masterpiece" (New Yorker). Containing 13 stories, with the first publication of "Flight," the first collected printing of The Red Pony (issued in a signed limited edition of 699 copies in 1937) and the first public issue of "St. Katy the Virgin" (printed in a privately issued signed limited edition of 199 copies in 1936). 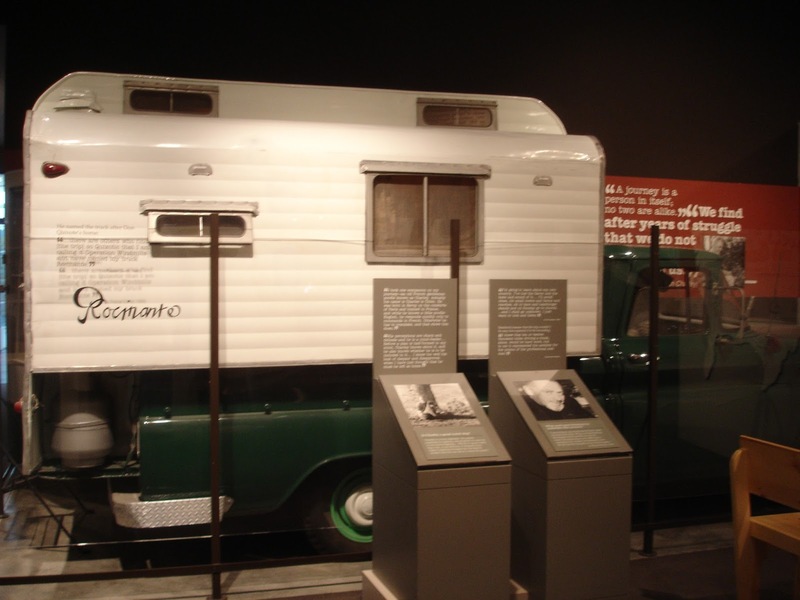 The additional ten stories were previously serialized in such magazines as Harpers Magazine, Atlantic Monthly and Esquire. Goldstone & Payne A11a. Morrow 90. Gross & Hayman, 28. Bruccoli & Clark I:354. Book about-fine with slight browning to cloth as usual; light edge-wear, faint spine toning, tiny open hole to rear panel of near-fine dust jacket. 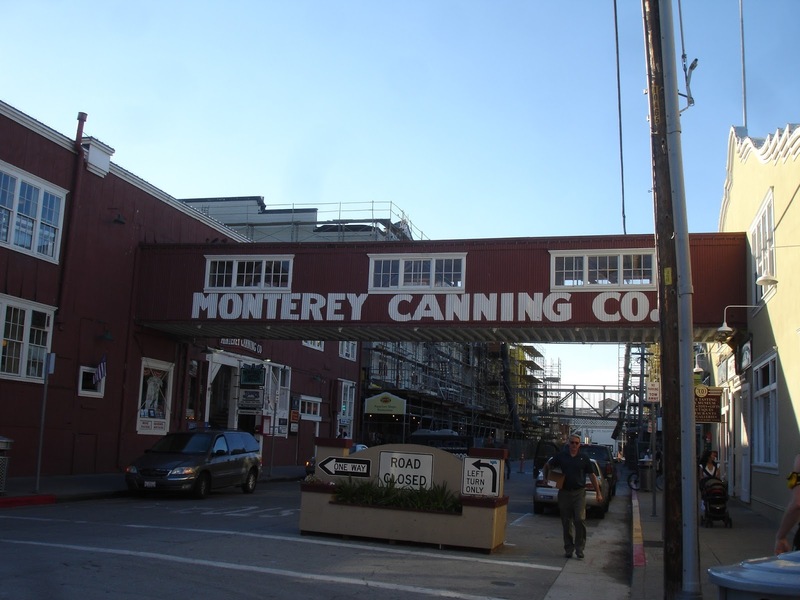 STEINBECK, John – Cannery Row. New York: Viking, 1945. Small octavo, original light yellow cloth, original dust jacket. 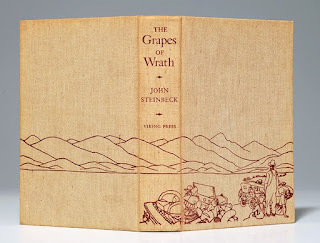 First edition, in first-state cloth binding, of Steinbeck’s “fine small art, a miniature gem, a verbal minuet” (A.C. Spectorsky, contemporary review), in scarce original dust jacket. Steinbeck's picaresque novel, set against the backdrop of the sardine canneries, vacant lots, flophouses and honky-tonks of Monterey, California, "was as complex as [Steinbeck] was. In a way it was a summation of all his conflicts and contradictions, and all that he had learned. 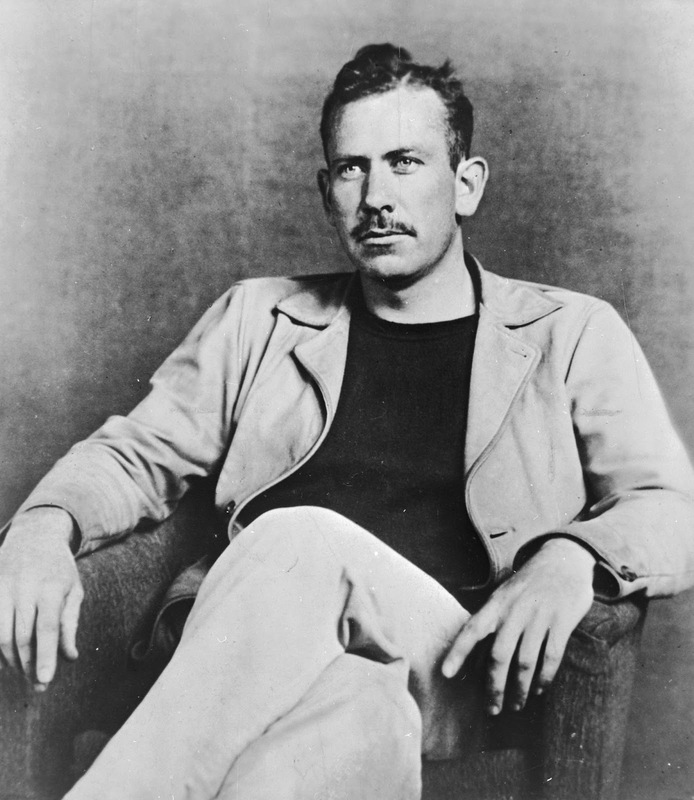 It was Steinbeck-funny and deadly serious all at the same time, sentimental and coldly deterministic, loving and satirical, lyrical and yet very precise… Nowhere else in his work is his poetry so well controlled, and nowhere else does he cut quite so deep" (Benson, 554-5). 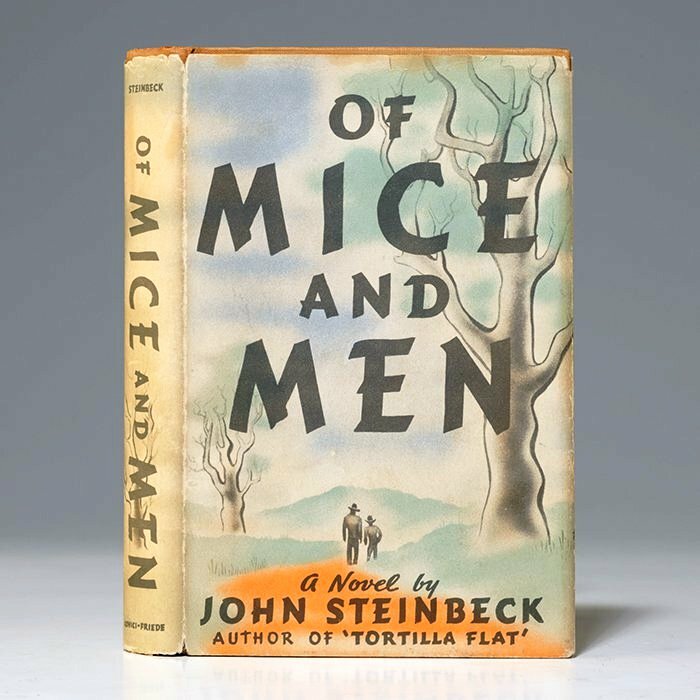 The first edition was printed using materials in conformity with wartime conservation measures and was issued both in paper wrappers and in cloth with dust jacket; when supplies of the light yellow/buff cloth in which this copy was bound were exhausted, the job was finished in bright canary yellow cloth. Jacket design by Arthur Hawkins. Goldstone & Payne A22b. Salinas Public Library, 38. Bruccoli & Clark I:355. See Valentine 174. Book fine; lightest edge-wear, faint toning to spine of about-fine dust jacket. STEINBECK, John – Sweet Thursday. London: William Heinemann, (1954). Octavo, original green cloth, original dust jacket. Housed in a custom half morocco clamshell box. 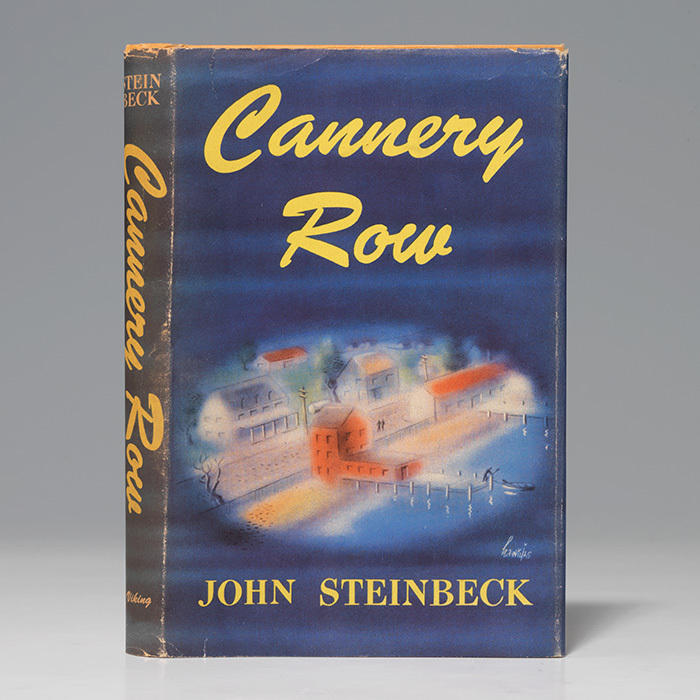 First English edition of this sequel to Cannery Row, “an emphatic and clear-cut statement of Steinbeck’s greatest single theme” and basis for the Rodgers & Hammerstein musical Pipe Dream. 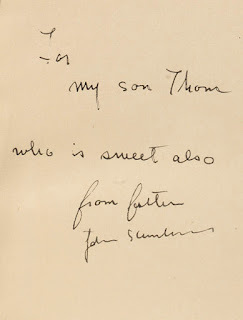 This copy warmly inscribed by the author to his son, who was ten at the time, “For my son Thom, who is sweet also, from father, John Steinbeck.” From the celebrated Steinbeck collection of Harry Valentine. 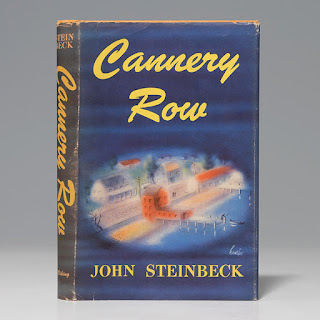 This sequel to Cannery Row (1945) makes "an emphatic and clear-cut statement of Steinbeck's greatest single theme: the common bonds of humanity and love which make goodness and happiness possible" (The New Republic, June 7, 1954). 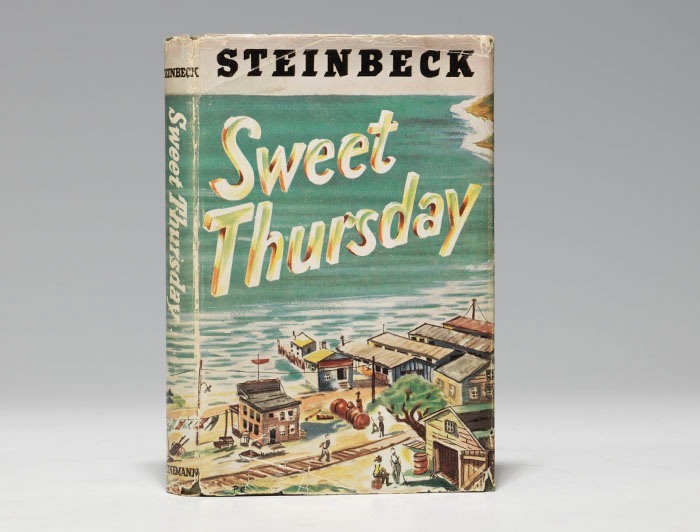 A sentimental satire of romantic comedies, it raced up bestseller lists upon publication; the New York Times hailed it as "Steinbeck at his best." The author twice tried and failed to adapt the book to the stage; Rodgers and Hammerstein did so in Pipe Dream (1955). While its critical reputation remains uneven, Sweet Thursday raises question about how we know truth that "will remain important to readers in any age" (Railsback & Meyer, 369). Published in the same year as the first edition. Goldstone & Payne A33c. See: Salinas Public Library, 45-6; Bruccoli & Clark I:356. 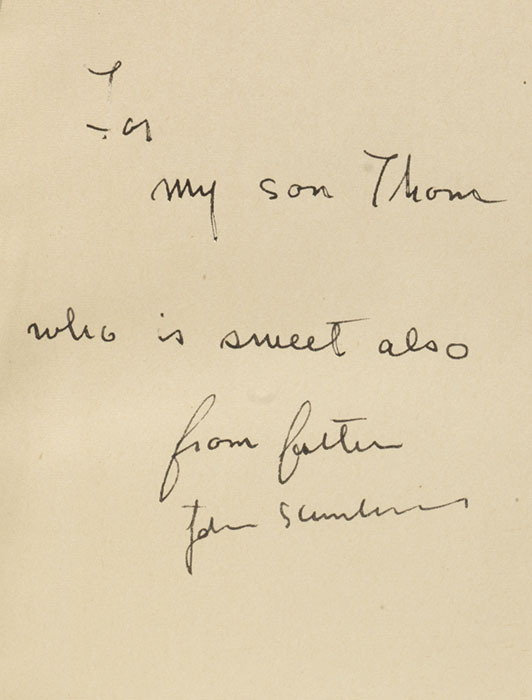 This copy inscribed to Steinbeck's son, Thom, who was ten years old at the time. 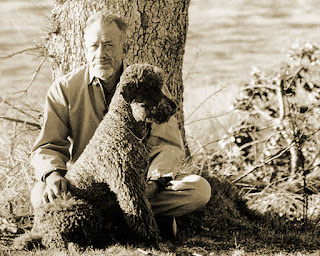 "Like his own father, Steinbeck found it difficult to express his affection for his children directly, and a great deal of the love and concern he had for them was put into his work… It might not be too far wrong to say that his children had almost a separate existence inside his head, the way a novel developed in his mind" (Benson, 640). 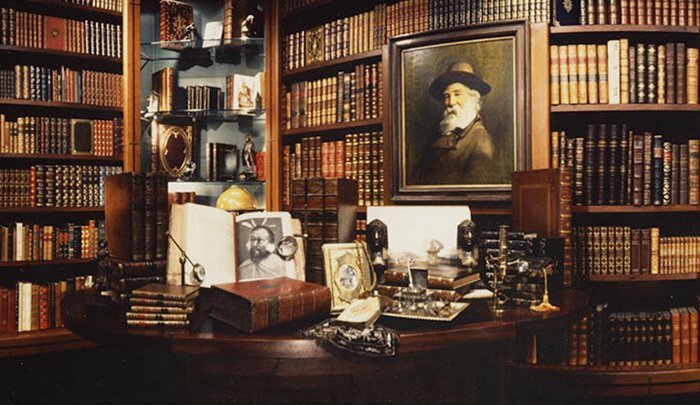 Harry Valentine was a Steinbeck family friend who acquired most of his impressive collection directly from Steinbeck's sons, Thom and John. This copy is item 228 in Valentine's catalogue. Interior pristine. Cloth with extremities slightly rubbed; rear board with minor soiling, top corner lightly bumped. Bright original dust jacket with mild rubbing to edges, expert repairs to verso. An outstanding copy with extraordinary association and distinguished provenance. Precedido de um esboço bio-bibliográfico, aqui fica esta listagem de algumas das obras deste grande escritor americano acompanhadas de alguns apontamentos de interesse para um melhor conhecimento bibliófilo das mesmas. A grande maioria das suas obras encontra-se traduzida em português e, curiosamente, algumas têm sido reeditadas recentemente.